150m+ Buildings 44 Completed • 49 Under Constr. CTBUH India organized a half-day seminar, the venue of which was sponsored by Mukesh Patel School of Technology Management and Engineering. Speaking to the CW Architects and Builders Awards, Public Affairs Manager Kevin Brass addressed the latest trends in the industry and challenges facing future development. Public Affairs Manager Kevin Brass discussed the latest trends in tall buildings and new approaches for India’s congested cities. CTBUH Chairman Timothy Johnson, of NBBJ, and CTBUH Advisory Group Member Ahmad Abdelrazaq, of Samsung, recently spoke at a CTBUH seminar on building technology. The Mumbai Post Conference Review celebrates some of the best moments of the 2010 Mumbai Conference. The report summarizes and profiles a number of the many memorable messages. The completion of an intense semester of work for the students and tutors involved in the CTBUH-IIT advanced architectural studio was marked by the final reviews. With the support from the CTBUH and RoMF, twelve advanced architectural students from the IIT left the cold winter of Chicago for a two week visit to the project site, in the C-ward. Rapid urbanization of developing countries such as India and China over the past decade have resulted in almost 200,000 people migrating from rural to urban regions every day. The C Ward of Mumbai consists of some of the oldest localities of the city. These areas have been urbanized since the past 100 years and accommodate a large population. Located in Worli, Mumbai, Palais Royale is a first-of-its-kind residential project by Shree Ram Urban Infrastructure Ltd : it is India’s first and largest green residential building. 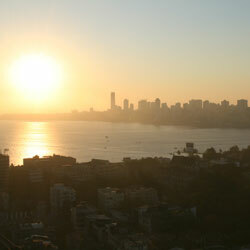 Mumbai, a melting pot of cultures, pulsates with activity. India’s financial powerhouse and also the capital of Maharashtra, Mumbai dazzles the visitor. In Mumbai, a building has to be oriented east-west to catch prevailing sea breezes and to open up the best views of the city. India’s largest slum, Dharavi, lies on prime property right in the middle of India's financial capital, Mumbai (Bombay). It is home to more than a million people. Amidst the spectacular setting of the Renaissance Hotel’s upper garden terrace, the Welcome/VIP Reception took place the evening before the conference. 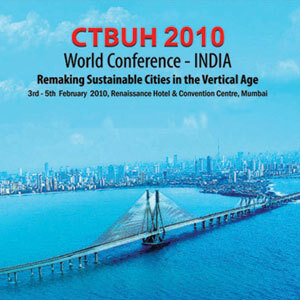 The 2010 annual Trustees meeting took place prior to the CTBUH 2010 World Conference Mumbai, in the same venue as the conference, the Renaissance Hotel Mumbai. Executive Director Antony Wood undertook a promotional tour of India for the Mumbai conference. 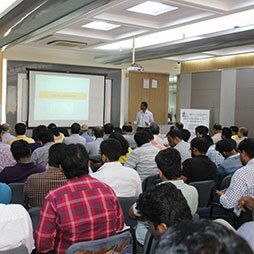 The tour took in Mumbai, Bangalore and Pune. The culmination of a semester of intense work for the students and tutors involved in the CTBUH-IIT ‘Tall & Green: The Remaking of Mumbai’ advanced architectural studio. 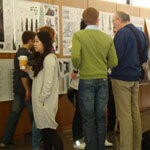 Students from the University of Nottingham recently visited Chicago as part of a tall building design studio collaboration with the ‘Remaking of Mumbai’ studio at IIT. 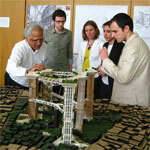 Ten advanced architectural students from the Illinois Institute of Technology (IIT) and Prof. Antony Wood to engage in the urban issues of the C-ward district of Mumbai. Daniel Jones of DB Realty is interviewed by Chris Bentley during the 2015 CTBUH New York Conference at the Grand Hyatt New York. Daniel discusses development in India. Oct 2011 – Presentation at CTBUH 2011 Seoul Conference; John Mizon, Schindler Ltd.
17 Oct 2016 – Cities to Megacities: Shaping Dense Vertical Urbanism; Steven Baldridge & Anantha Chittur, Baldridge & Associates Structural Engineering, Inc.
Debating Tall: Should Tall Buildings be Demolished For Non-Safety Reasons? Does Residence Antilia, the "world's tallest and most expensive private home" represent a positive addition to the city of Mumbai's skyline? 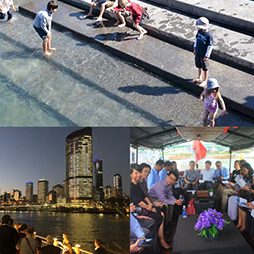 Chris Abel writes on the development of the future Asian megacities and their urban landscapes.